They permit Group Quotes from educational organizations – Can cover groups with 25 or more enrollees, and plan designs can be customized. GeoBlue’s student health plan is a good choice for both students, research scholars, and faculty because GeoBlue offers comprehensive (worldwide) benefits—inside and outside the U.S.—without the typical limits, eligibility conditions and benefit exclusions common among traditional plans. You also have the strength of a U.S. regulated Insurer – rather than an offshore carrier. 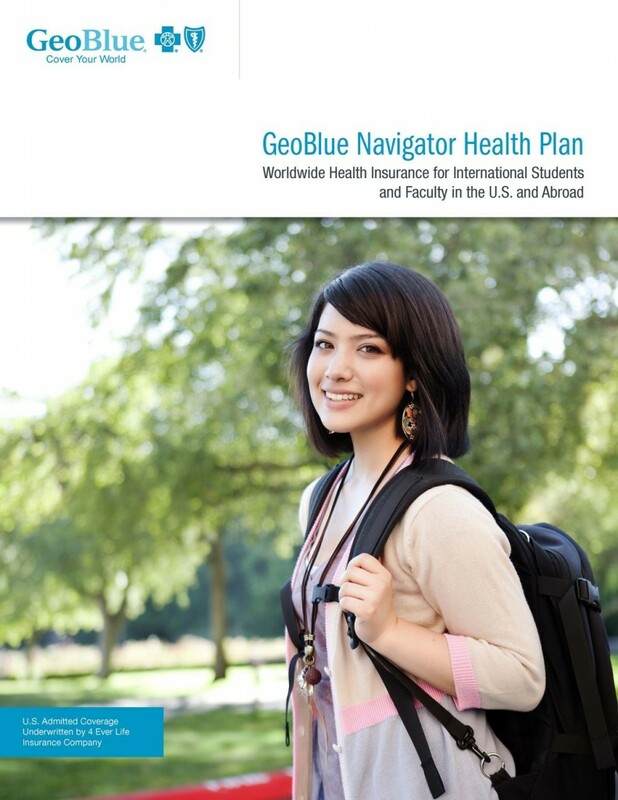 PLUS, their elite community of carefully selected providers outside the U.S. GeoBlue Navigator gives students and faculty peace of mind, knowing they have the freedom to access top medical care no matter where their studies or assignments take them. Outside the USA, GeoBlue Voyager provides coverage for students and faculty coverage for less than three months for short-term research, study or international experience. Features Direct Pay to doctors and hospitals, rather than reimbursement – Using the web, the telephone or a web-enabled cell phone, members can request appointments with doctors and hospitals who participate in GeoBlue’s International Community. When making appointments, GeoBlue arranges to pay the doctor or hospital directly. GeoBlue even waives the deductible if a member sees a participating physician. It also comes with concierge-level medical assistance (which is helpful when working with nationalized healthcare. Coinsurance waived when outside the U.S.
Are Residents From Every State Eligible? U.S. Students and Faculty, planning on studying outside the U.S., must apply from either an approved state or from outside the U.S.
For the most current state list, please visit geobluetravelinsurance.com/products/longterm/navigator-stud-eligibility.cfm or contact a Good Neighbor Insurance sales professional for help. Who Is It Underwritter By?